These aren't your grandmother's Brussels sprouts. 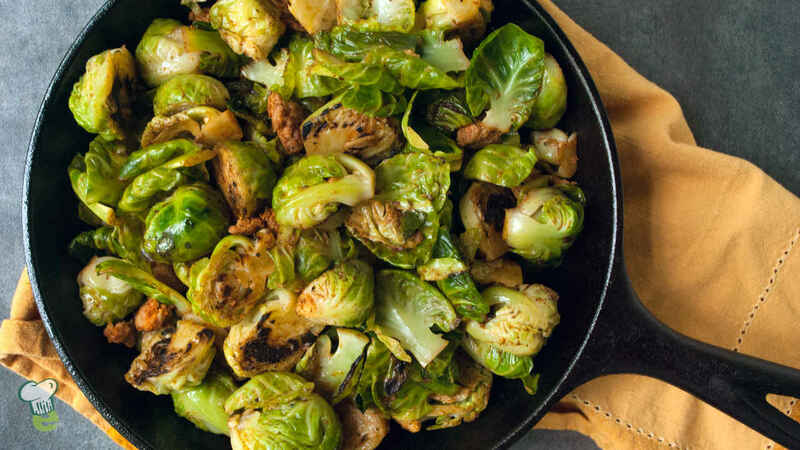 Spruced up with garlic, paprika and a touch of chorizo, this Brussels sprouts side dish will keep your guests coming back for more. In a nonstick skillet over medium heat, heat 1 teaspoon of the olive oil. Add the chorizo and cook for 3 minutes, stirring occasionally. Transfer to a plate. Add remaining 1 tablespoon olive oil and Brussels sprouts to the pan, cut side down. Cook for 3 minutes, without stirring. Stir in minced garlic and cook for 1 minute. Stir in paprika, salt and pepper to taste. Add the chicken stock, cover partially and cook for 3 minutes. Stir in the chorizo. Serve warm.